Ventilation USA specializes in Industrial Ventilation solutions. Offering a full range of shop ventilation solutions they successfully solve air movement problems for commercial and industrial locations. 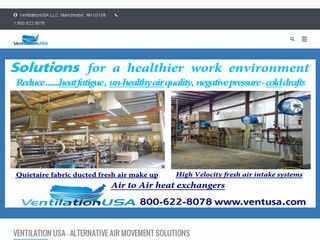 Contact Ventilation USA to directly to discuss all the different options they can offer to help you with your ventilation needs.